Arcontia, a Swedish provider of contactless smart card readers and terminals, is teaming up with the Handheld Group to provide contactless-enabled Nautiz eTicket Pro PDAs for Dutch Railways (NS). 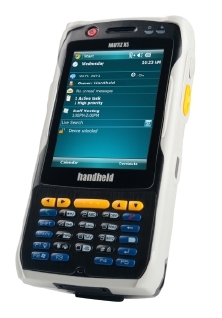 The Handheld Group will supply Dutch Railways with more than 10,000 of its rugged Nautiz handhelds, 6,000 of which will be the eTicket Pro featuring an embedded Arcontia contactless smart card reader. According to Arcontia, the PDA is designed to provide train conductors with a rugged mobile device for contactless ticket control, travel information and support workflow processes. The ISO 14443 A/B smart card reader from Arcontia is based on Arcontia’s latest ‘1300 series’ contactless reader platform. 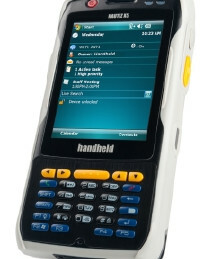 The reader is fully integrated into the PDA, without any hardware changes to the PDA ergonomics thanks to the unique design of the smart card reader and antenna, says Arcontia. The Arcontia smart card reader family supports Smart MX as well as several other smart cards used in cashless ticketing and payment applications. The platform incorporates up to 4 high speed SAM slots (Secure Access Module) and the reader software supports the latest MIFARE AV1 and MIFARE AV2 SAMs from NXP. “The Nautiz eTicket Pro provided the best of two worlds for us; a powerful PDA platform integrated with the latest generation Arcontia RFID module,” commented Jasper van Zanten, NS Business consultant. This is marks the second time that Arcontia and the Handheld Group will supply Dutch Railways with PDA contactless smart card readers, the first being in 2007.